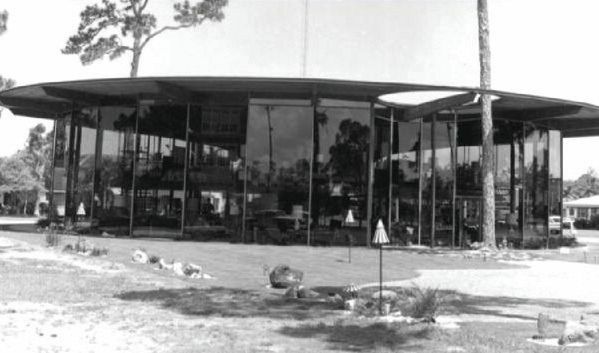 Center for Architecture Florida's daily newsletter will feature some iconic Florida work. For the fourth year, the Center for Architecture Florida is highlighting important Florida buildings in daily October emails. Here’s a look back at some featured last year. To sign up for this year’s Building a Day emails, visit cfasrq.org. This much-awarded building, now remodeled beyond recognition, is said to be inspired by the petals and shape of a morning glory. A modest art studio and guesthouse (budget $12,000) went on to win international awards. Only the base of the home remains in its present location. A prefabricated home initially designed for use as a ski cabin and intended to be mass-produced as inexpensive housing. Arquitectonica’s first completed work, the 7,000-square-foot-home introduced a new era of vibrant Art Deco and Modernist architecture to Miami.